Unfortunately there is a wide-spread notion that people who are overweight or obese have no one to blame but themselves. Many people, including medical professionals, believe that fat people are fat because they have little self-control. Our overweight friends, family members, co-workers, and neighbors are frequent targets of discrimination. The causes of obesity are multifaceted, and researchers are only just scratching the surface. One of the less familiar causes of obesity is an imbalance of gut bacteria, known in the medical field as intestinal dysbiosis. Grain-free diets are very popular these days, especially among people with gastrointestinal conditions. However, denying yourself a fresh slice of bread is not always easy, and many of the bread substitutes are unpalatable. Lillian Mahl’s recipe for rosemary focaccia grain-free bread is an exception and a treat for both grain-eaters and grain-avoiders. Thank you, Lillian, for sharing your quick, easy and appetizing recipe. Have you found that eating certain raw fruits, vegetables or nuts make your mouth or throat itch? I used to think I was crazy for believing that I was allergic to cantaloupe, but I couldn’t otherwise explain why I wanted to take a back scratcher to the back of my throat and lips after eating it. Turns out that I have oral allergy syndrome (OAS), which is the most common form of food allergy in adults and usually affects people who suffer from seasonal allergies. My allergy to ragweed pollen is linked to my discomfort after eating melon. You may have heard about the potential benefits of omega-3 fats for conditions like heart disease, but did you know that there is considerable research on the possible benefits of omega-3 fats on the development and progression of inflammatory bowel disease (IBD)? Omega-3 fatty acids are essential anti-inflammatory fats. They’re “essential” because we can obtain them only through food or supplements since the human body cannot synthesize them. Their anti-inflammatory properties are thought to help the gut recover from IBD flares and ease symptoms. Turnips, a relative of arugula and radishes, have always made an appearance at my family’s Thanksgiving and Christmas feasts but no other time throughout the year. For a long time, I assumed they were a rare holiday treat, like a green bean casserole or a Thanksgiving turkey. However, turnips are too delicious and nutritious to save only for special occasions. Here is a super easy, yummy recipe for mashed turnips that is also appropriate on a low roughage diet. Admittedly, there are a number of healthy foods I love but had no idea how to cook to them at home. At the top of my list of intimidating foods was the artichoke. Who can blame me when two of its anatomical parts are called the choke and the thorns? However, I made a commitment to embrace the artichoke because it’s full of dietary fiber, vitamin C, vitamin K, folic acid and other disease-fighting substances. Plus, it’s naturally low in fat and calories. Living with celiac disease has become a bit more manageable thanks to the popularity of the gluten-free diet. In fact, even people without a diagnosis of celiac disease are self-prescribing a gluten-free diet because they feel so much better avoiding this protein. The good news is that they feel better, the bad news is that they might be doing themselves a disservice by not being formally tested. Assume you’ve actually been living for years with untreated celiac disease? Untreated celiac disease can result in a variety of nutrient deficiencies and people can develop complications that require immediate attention. A 2013 Dutch study in the journal Nutrients investigated the prevalence of vitamin and mineral deficiencies in patients with newly diagnosed untreated celiac disease. What exactly is celiac disease? Studies suggest that approximately one in every 100 Americans have celiac disease, yet 97 percent of them go undiagnosed. But what exactly is this increasingly common disease? Celiac disease, sometimes referred to as gluten-sensitive enteropathy or celiac sprue, is a hereditary autoimmune disease that results from an abnormal response to eating gluten. Gluten is a type of protein that is found in the grains wheat, rye and barley. In people with celiac disease, the body sees gluten as an enemy and responds by attacking, or inflaming, the very parts of the small intestine necessary for absorbing nutrients. Clinicians around the world are recommending the low FODMAP diet as a treatment for irritable bowel syndrome (IBS). Research suggests that over two-thirds of people with IBS report symptom improvement or resolution when following the diet. FODMAPs are certain types of poorly absorbed carbohydrates that are highly fermentable in the presence of bacteria. They can cause a variety of uncomfortable gastrointestinal symptoms, such as bloating, gas, abdominal pain and diarrhea. Many people with inflammatory bowel disease (IBD) also struggle with IBS and continue to experience GI symptoms in the absence of inflammation. A brand new study published in the IBD Journal investigated the effectiveness of a low FODMAP diet in managing various degrees of IBS-like symptoms in eighty-eight people with inactive inflammatory bowel disease. Too many people with inflammatory bowel disease (IBD) are receiving lousy nutrition advice, including the ridiculous notion that what they eat doesn’t matter. 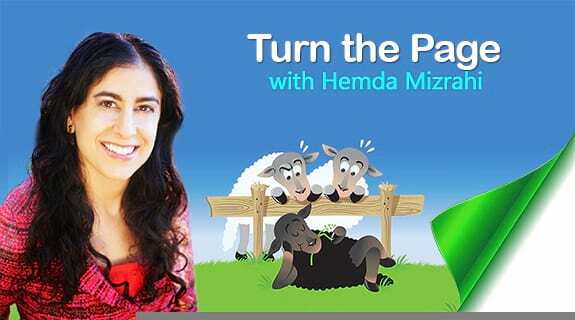 Recently I shared my concerns with Hemda Mizrahi, host of the internet radio show “Turn the Page”. “Turn the Page” connects listeners around the world to expert advice on a variety of topics. I welcome you to listen to the audio here, download and/or share our episode “Managing Inflammatory Bowel Disease Through Food and Nutrition“.